Irving is currently the Associate Director, AFN Housing, Infrastructure and Emergency Management, Safe, Secure and Sustainable Communities. His responsibility is to represent the AFN on the various initiatives and committees related to housing, infrastructure, water, wastewater, source water protection and emergency management issues. He carries out his responsibility guided by AFN’s role as an advocacy and facilitative body. AFN is directed by Chiefs-in-Assembly resolutions. 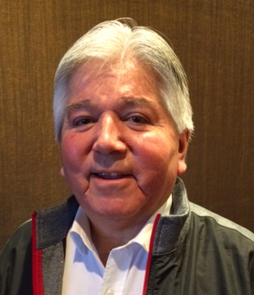 Prior to joining the AFN, Irving was the Toronto Service Centre Manager for the Ontario First Nations Technician Services Corporation (OFNTSC). OFNTSC is a regional technical services organization providing engineering and technical advice to Ontario’s First Nations and Tribal Councils. Irving joined the AFN in 2007 as Special Advisor on Water. In 2009 he took on the role of Acting Director, Housing and Infrastructure, AFN. Irving received his civil engineering degree from the University of Waterloo and is a member of Professional Engineers Ontario. Irving is an Odawa and a member of Wikwemikong Unceded Indian Reserve located on Manitoulin Island, Northern Ontario and is fluent in Odawa. Irving is a Board member of the Canadian Water Network and also Res’Eau Waternet which are university based water research organizations. He is also the AFN representative on AFN-Engineers Canada partnership whose objective is to support more First Nations students choosing engineering as a career. He also participates in various CSA technical committees.